Do you want to know the different ways of comparing data in SQL, using operators? 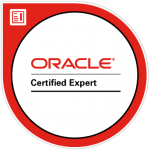 SQL operators include EXISTS, IN, LIKE, BETWEEN, and many more. We’ll look at each of them in this guide. 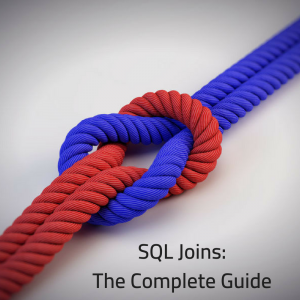 By the end of the guide, you’ll have a solid understanding of these operators and will be able to use them in your own SQL code. Here’s what we will cover in this article. Click on any of the headings to be taken to that section on this page. SQL operators are symbols and keywords that are used to compare data. They are commonly used in the WHERE clause of a query. If you’ve learnt about the WHERE clause (which is used to filter your results to match a criteria), you would have learnt a little about operators. The equals sign = is an operator, which means “is equal to”. When used in a where clause, it says “where some_expression is equal to another_expression”. So, they help you compare data. They are often used in the WHERE clause but can be used in other places such as the HAVING clause and joins. This table shows a list of operators available in SQL. This list uses standard ANSI SQL, so should be applicable to all databases that use that standard (Oracle, SQL Server, MySQL, etc). We’ll look at all of these operators in this guide in more detail. Let’s take a look at these operators. The first set of operators we’ll look at are the basic operators, or the ones that use symbols instead of keywords. To determine if something is equal to something else, we use the equals sign =. This is often used in the WHERE clause to find records that match a certain value. We want to see records where the address_state value is equal to ‘FL’. We use single quotes around FL as it is a string or text value, which need single quotes. Without the single quotes, it would be treated as an SQL keyword and likely show an error. In this example, the join is performed between the customer and order table, where the order’s customer ID is equal to the customer’s ID. In almost every query you write with joins, you’ll use the equals sign to join tables. I’ve seen and written a few that use other symbols, but not very often. The concept of “not equal to” means that one expression is not equal to another expression. It’s the opposite of “equal to”. In SQL, it can be represented in two ways. Using !=, which uses an exclamation point and is a common way of writing “not” in programming languages. Using <>, which is a combination of greater than and less than. 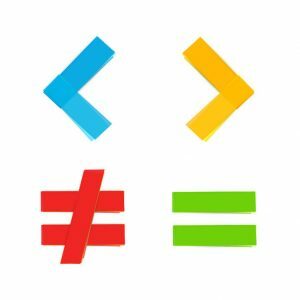 Together, these symbols mean not equal to. I would recommend using the two bracket version <>, because it’s ANSI-compliant, which means it’s part of the SQL standard. 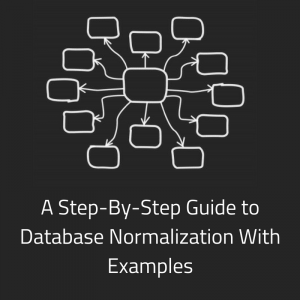 This means your query is more likely to be compatible with different databases, and it’s one less thing you need to change if you move databases. Now, let’s say you wanted to find all customers who were not in the state of California (CA for short). This can also be used with numbers. A not equals operator can be used in a join. For example, it could be used in a self join to get a list of all combinations of values, excluding those that match. This would show a list of all team names in both columns where the ID does not match. Another operator that can be used is the greater than operator. This uses the angled bracket >. I remember it as the arrow always points to the smaller of the numbers: 5 > 3. If the greater than symbol is >, then we can check for greater than or equal to by using the symbol >=. It’s a combination of greater than and the equals symbol. It will find any values that are greater than or equal to the specified value. The less than operator is the angled bracket <, which points left. It’s used to find values that are less than other values. Just like greater than has a “greater than or equal to”, there is a “less than or equal to” operator. It’s a combination of the less than symbol and an equals sign <=. It will find any values that are less than or equal to the specified value. What if you want to find records that match multiple conditions? You can use the OR keyword to check if a value matches one or more values. This isn’t so bad when there is only a small list. But it can get messy when the list gets longer. It’s called the IN keyword. The IN keyword in SQL lets you check if an expression matches any of the specified values, in a single criteria. It avoids the need for many separate WHERE clauses and has a few other advantages. You use the IN keyword, with some brackets, and specify your values inside those brackets. You can put a lot of values inside the brackets – up to 1,000 actually. This will show all customers that have a first_name of John, Mary, or Susan. This will perform an “equal to” match. It will check if the first_name is equal to any of these values. If you’re looking to perform other operators, such as greater than, have a read of the ANY and ALL section below. So why would you use the IN keyword? It’s easier to type when you have more than one value to check. It’s easier to add and remove values from your query, rather than removing entire lines of a WHERE clause. It can be used with multiple values from subqueries. A common way to use the IN clause is to use subqueries. I’ll have a guide on subqueries coming out soon that goes deeper into that topic, but a subquery is a query inside another query. This means that all of the first_name values in the common_names table will be used as an input into the WHERE clause on the customer table. Now, this may not be the most realistic example, but it’s just used to demonstrate the concept. We just looked at the IN keyword, which checks if a value matches one of a range of values. What if we want to find records that don’t match a range of values? We can do this with the NOT IN keyword. In SQL, many of the keywords can be reversed by adding the word NOT in front of them, as you’ll see in this article. So, while the IN acts like an = on multiple values, NOT IN acts like a <> on multiple values. Like the IN, you can put up to 1,000 values inside the NOT IN clause. This would find all of the customer records where the name is not John, and not Mary and not Susan. This example uses AND because we want to find records that don’t match all of these values. We can convert this to NOT IN by adding the values inside the brackets. This would show us the same results. This means that all of the first_name values in the common_names table will be used as an input into the WHERE clause on the customer table, and all customer records that don’t match those values are returned. There are two other keywords that can be used in a similar way: EXISTS and NOT EXISTS. The SQL EXISTS keyword is used to check if at least one value is found in a subquery. It doesn’t work with a literal list of values like the IN keyword does. So this clause won’t work: WHERE column EXISTS (value1, value2). It needs to be a subquery. The subquery is a SELECT query that aims to return at least one value. If the subquery returns at least one value, EXISTS evaluates to TRUE and the record is shown. If the subquery returns no values, then EXISTS evaluates to FALSE and the record is not shown. For each of the records in the customer table, this will find all of the first_name values from the common_names table that match the customer’s first name. It performs the same kind of logic as the IN keyword. But there are some differences – which I’ll explain shortly. The NOT EXISTS keyword is used to see if a value is not returned by a subquery. The NOT EXISTS will check the results from a subquery, and return TRUE if no results are found in the subquery. It’s the opposite of EXISTS. This query will find all customer rows where the first_name is not in the common_names table. What’s the Difference Between EXISTS, IN, and a Join? So we’ve taken a look at both the IN and the EXISTS keywords, and their negative versions (using the NOT keyword). What are the differences between IN and EXISTS? IN can be run with specific values or a subquery. EXISTS must use a subquery. IN checks all values for a match. EXISTS only checks if at least one value is returned. The EXISTS keyword is intended as a way to avoid checking all of the data and avoid counting. IN is also better if you have a specific list to use, as you can just enter those values and not use an EXISTS with a subquery. What about with a join? The example we saw earlier checks if first name values match between two tables, which sounds like a join. This should return the same results as the IN query. 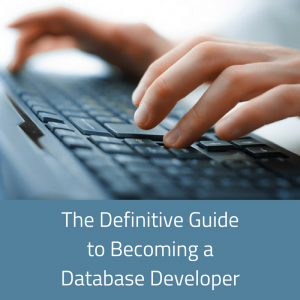 Depending on your database, they should also evaluate to the same process and plan internally. Why Do Queries SELECT Literal Values with EXISTS? Have you ever seen a query like this? Notice the SELECT clause in the subquery: it shows SELECT 1. Why would this be there? You might have seen this in online examples or in your project’s code. The reason this is done is to improve the performance and to make the query easier to understand. Because the subquery in the EXISTS clause only checks to see if at least one record is returned, it doesn’t actually care what value is returned. Unlike the IN keyword, the value isn’t used. So, you can actually select any column from the table in the subquery. Or, you can select a literal value like this example. This will select the literal value of 1 instead of a column from the database. It’s one less thing the database needs to do. So far we’ve checked for equals and not equals, and several other operators, on an exact match of a value. What if we want to perform a partial match? We can do that in SQL with the LIKE keyword. The LIKE keyword in SQL allows us to perform a partial match on a value that is provided, where we can use wildcards in place of other values to perform a partial match search. We can find all values that start with A, for example, no matter what the actual value is. The query will check that the expression matches the logic in the comparison value. So how can we use the LIKE keyword to look for partial matches? Wildcards are special characters in SQL that represent other characters. There are two: an asterisk * and an underscore _. So, an asterisk represents zero/one/many of any character, and an underscore represents one of any character. Using wildcards in SQL means you add the characters inside a string you’re checking. They can go at the start, end, in the middle: anywhere in the string. It just depends on what result you’re looking for. An example of adding a wildcard to the end of the string would be ‘Ad*’. We are checking for a value of ‘Ad*’, the database will look for values that start with ‘Ad’ and any number of characters after it. It will find values such as ‘Adam’, ‘Adela’ and ‘Ado’ but not ‘Amy’ (because it doesn’t start with ‘Ad’). We could also look for a value of ‘*son’. This will find all values that end in ‘son’ with any number of characters coming before it. It would find values such as ‘Donaldson’, ‘Johnson’ and ‘Simpson’ but not ‘Song’ as it doesn’t end in ‘son’. We can use a wildcard in the middle of a string. For example, a string of ‘A*d’ will find all values that start with A, have any number of characters in the middle, and end with ‘d’. It would find values such as ‘And’, ‘Almond’ and ‘Armoured’ but not ‘Antidote’. An underscore is used to find a single character. It can be used anywhere in the string, just like an asterisk. For example, a string of ‘_on’ will find values such as ‘Son’ and ‘Don’ but not ‘Spoon’ (as it contains more than one character). Using wildcards can be a good way to find the data you need if it’s not an exact match. Can I Use LIKE with IN? Unfortunately we can’t. IN uses an exact match and is equivalent to =. LIKE is a partial match. IN doesn’t support a list of partial match keywords. Or, you could use a regular expression, if the value can be expressed that way. I’ve written about regular expressions here if you want more information. Sometimes we need to check if a value or expression is between two other values. For example, checking if a number is between two other numbers, or if a date is between two other dates. This will find orders that have an order date between 1st Jan and 31st Dec, 2018. There is an easier way to do this though: using the BETWEEN keyword. The BETWEEN keyword allows you easily filter data that is in a range between two values. This will check if your expression (e.g. a column) is between the two values mentioned. These values are inclusive: if the expression is equal to the value, it is included. I think it’s easier to read, and it’s clearer that you’re checking if a value is between two dates, which can often be overlooked if separate WHERE clauses are used. It can also be used with numbers. This will show all orders where the order_amount is greater than or equal to 100, and less than or equal to 500. 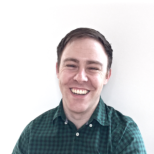 Why is SQL’s BETWEEN inclusive rather than half-open? Another way to check data is to use the ANY and ALL commands. These commands are not used that often, but they are good to know in case you come across any code that uses them. The SQL ALL comparison is used to check if an expression matches all values in a list. It can be used with any of the basic operators: =, <>, >, <, >=, <=. Internally, this expression is translated into multiple WHERE clauses using the AND keyword. Now, looking at that query, there’s no way a first name can be equal to all of those values. So this query would return no results. But, the ALL keyword is perhaps better used with another operator. But that’s how you use the ALL operator. It’s not used very often that I’ve seen, but it’s good to know what it is. The SQL ANY comparison is similar to ALL. It is used to check if an expression matches all values in a list. Internally, this expression is translated into multiple WHERE clauses using the OR keyword (The ALL operator used the AND keyword). = ALL () The value must match all of the values in the list. <> ALL () The value must not match any of the values in the list. > ALL () The value must be greater than the largest value in the list. < ALL () The value must be less than than the smallest value in the list. >= ALL () The value must be greater than or equal to the largest value in the list. <= ALL () The value must be less than or equal to than the smallest value in the list. = ANY () The value must match one or more values in the list. <> ANY () The value must not match one or more values in the list. > ANY () The value must be greater than the smallest value in the list. < ANY () The value must be less than than the largest value in the list. >= ANY () The value must be greater than or equal to the smallest value in the list. <= ANY () The value must be less than or equal to than the largest value in the list. As mentioned earlier, you probably won’t find the need to use this syntax very often, but it’s good to know it exists. There are many different operators in SQL. Some use symbols common in many other programming languages, such as = and >. Others use SQL keywords such as IN and EXISTS. You’ll find yourself using these quite often, and knowing what they are and how they work will be a great help. Do you have any questions on these operators? Are you wondering which one to use in a certain situation? Let me know in the comments below. 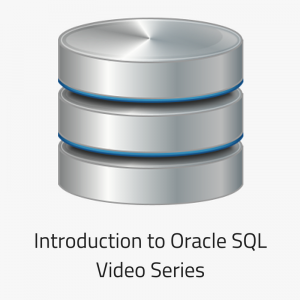 Do you also discuss the above Topic of SQL Operators in your “Introduction to Oracle ” video series on Youtube? Or is this Blog Page just a supplement to the Videos series? I just wish you had ALL of your Blog entries in a single PDF file . I would love to buy it.